Harriet Thompson née Morgan has over a decade of experience as a Sports & Remedial Massage Therapist within the sporting and entertainment industry. 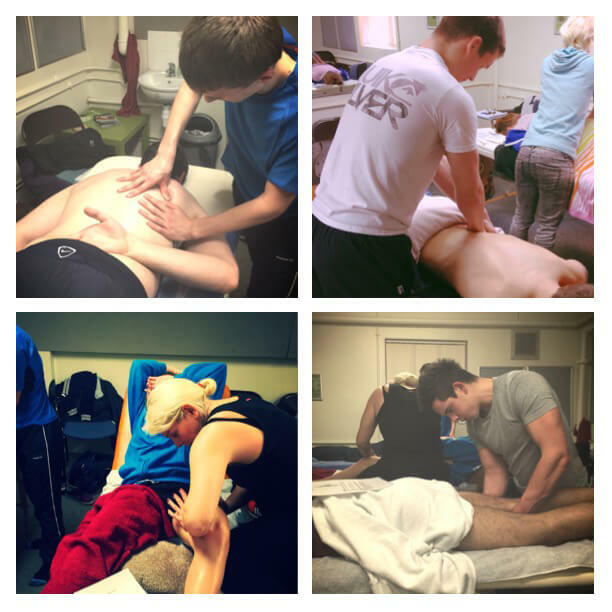 Movement, alignment and positioning are of particular interest having worked as the lead Massage Therapist with Northern Ballet. 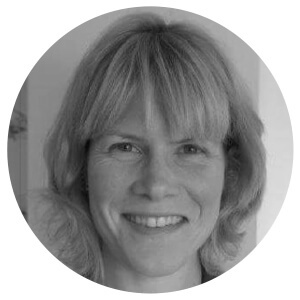 With experience of working with Castleford Tigers, Leeds Carnegie and Leeds Bradford Triathlon Club, Harriet has an acute understanding of sports injuries and how massage can aid performance & rehabilitation. How long have you been massaging? In 2002 after moving to Leeds I did a Swedish massage diploma at a local college. Within that year I qualified as a Reflexologist and a Sports & Remedial Massage Therapist. I was hooked! What made you want to massage? I knew I liked massaging from years of rubbing fellow swimmer’s shoulders as a teenager on the poolside, alongside a desire to do something more than sit in an office (no offence to those who do). I saw myself as being active but I was like a weekend warrior, hammering exercise in my spare time dreaming of a life where I could train and work when I wanted. What has been your biggest obstacle? I’d do two days with the ballet plus my private clinics, but I was dead on my feet by the end of the week. 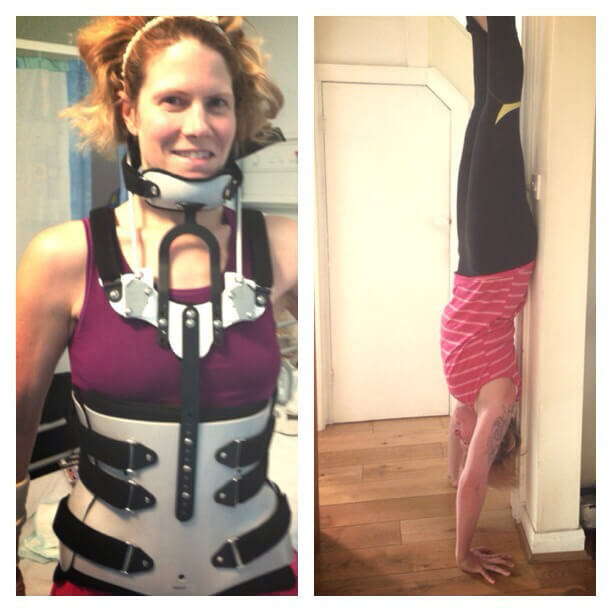 Then I had a bit of a wake up call when I fell off my bike breaking 18 bones (including my neck, 11 vertebrae and my right hand). After being out of action for 3 months I knew I had to ease back in to such a physical job. A phase back to work wasn’t accommodated at Northern (Ballet) so I cut ties to adopt a slower approach. I retrained as a Nutrition Specialist so have been working with community health & wellbeing through cookery sessional groups. My mum was a Home Economics teacher so I feel like I’m following in her fine footsteps. In order to keep things varied I also PA for a partially sighted friend. So along with juggling this with three massage clinics a week and training others I keep myself entertained yet value the need to keep myself well through water and yoga. How do you stay motivated? My days can be very different, with a lack of routine I find it best to plan things throughout the day to make it manageable. That may be as simple as doing accounts, updating my website or the social media needed these days to run a business. I think motivation breeds motivation and if you haven’t got a 9-5 job or people around you it is very easy to do very little. I would call myself an actively lazy person! What has been your greatest achievement? Quite early on I got involved with a charity called Active Foundation with the most amazing entertainment contacts so was massaging bands backstage at concerts pretty quickly. I was booked to massage the Pussycat Dolls but it got cancelled. I got lots of offers to hold my oil bottle that day! But my greatest achievement surely can’t be a claim to fame…my time with Northern Ballet was pretty special. You can never underestimate working with professional athletes and I knew their bodies inside out. Those who can’t, teach…But my absolute greatest achievement has been teaching others. I have taught up to 40 students a year for almost ten years and I still find it so rewarding. A friend said recently why would I want to teach other people to do what I do, almost like why didn’t I see it as a threat. I’ve never seen it like that. We are all different and have different hands so cannot massage the same even when taught the same skills. I have always enjoyed seeing others flourish. When clients ask me what I like about massaging, to help people to be pain free has always been my biggest ambition.